The author's memoir is not just about himself, but the small group of young white men who were his pals in his hometown of Jackson and on the campus of Mississippi State University (MSU). It’s about coming of age in the middle of a revolution and being "won over" to the other side. They started with a teenage act of rebellion (so what else is new?) 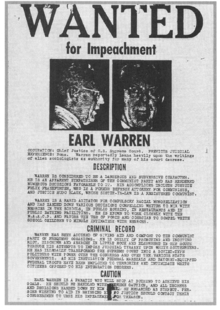 — when he and a buddy decided to paint over a billboard that said IMPEACH EARL WARREN. They got away with it; it made the local papers; his mother didn’t chastise him but only said "be careful." Alsup later observed that only a small sliver of the Mississippi population supported civil rights, even modestly. He and his friends made a small step in that direction the following May when the Birmingham demonstrations were making national news and the NAACP was boycotting and picketing stores in Jackson. They wrote a letter to the editor of one of the Jackson newspapers supporting voting rights and equal education for Negroes – but nothing else. Nonetheless, it was a "call in the wilderness."